Writers, educators, designers and any other creatives that develop unique content to share with the world often have a team of “fresh eyes” to review their work from an unbiased standpoint. Fresh eyes haven’t spent hours, days, months looking at the same tiny print, storyline or blueprint. Fresh eyes catch flaws in the design, spelling and grammatical errors, storyline confusion and other critical missteps that need to be remedied before the creator moves forward to completion. The same holds true for SEO. Marketing and development teams work tirelessly to expand your company’s reach by monitoring your citations, exploring your listings, researching keyword phrases, optimizing your webpages and more. How do they know (and you know) that the work is paying off? What happens when your local search rankings don’t begin the upward climb to page one? How do you find your errors or identify the roadblocks? 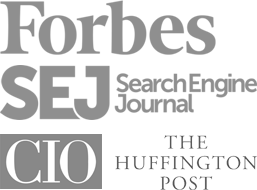 There are a variety of tools available that work as SEO site auditors, putting fresh eyes on your efforts to identify problem areas that need your attention. Avoid any technical SEO headaches by using one of these tools to review your website and put their stamp of approval on your design. It’s important to note that just like “fresh eyes,” SEO site auditing tools are not a perfect system. No one tool guarantees absolute perfection and seamless go-to-market presentation. That said, they provide an excellent way to find issues that would otherwise be missed. That means you can get rid of technical SEO issues and improve your site architecture. These tools are just one of the trusted advisors in your arsenal. They’re a great place to start, but it would be a mistake to rely on them wholly to dictate your SEO strategy, just like it would be a mistake for an author to allow an editor to completely rewrite their book. Use them confidently, in tandem with a talented staff and other available resources, as one key part of your multi-faceted strategy to grow your business and improve your visibility online. Your competitive intelligence provider, SEMrush delivers critical insight on your competition, allowing your company to make better-informed decisions when it comes to online strategy. 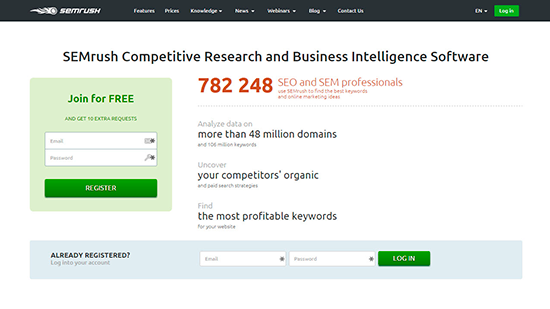 Quickly compare domains and estimate keyword difficulty, report on competitive link building, advertising and paid search strategies and design global campaigns to gather metrics on your website’s online health. The projects tool is touted as SEMrush’s site auditor. Designed to identify problem areas that need to be fixed, it acts as your website’s real time “medic,” monitoring your health and highlighting what tweaks need to be made. With it’s built in rank checking tool, it can be a powerful regular reminder that triggers new campaigns, strategies and creative ideas to improve your local search rankings. With three pricing tiers, beginning at $69.95/month for Pro and graduating to $549.95/month for Business, you have the option to choose the plan that best matches your business needs based on reporting, keywords, pages to crawl and results. 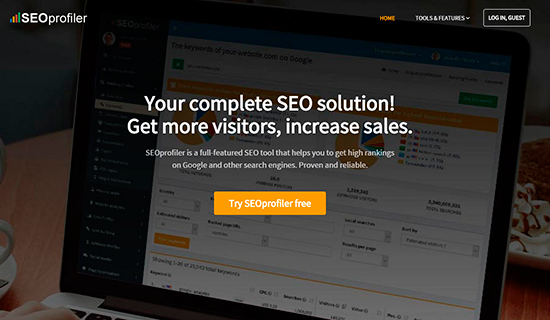 SEOProfiler is a complete software package that combines a variety of tools together as a one-stop, powerhouse team of SEO regulators. Focused on working within Google guidelines, this tool highlights several integration features with social media platforms and Google analytics, providing quality intel and reporting on competitors and local search rankings. Their SEO auditor can report on keyword rankings in over 65 countries on Google, Bing and Yahoo. See how your website ranks, identify keywords that will improve your visibility and optimize web pages with pre-qualified terms that will deliver the best results. Their website auditor reviews your web pages, exposing problems and potential hiccups that could otherwise hamper your growth. An especially neat “link disinfecting” tool can bring bad backlinks to your attention so that you can remove detractors from your path to page one. Offering a $1 for one month entry fee, regular packages range from $49.95/month up to robust enterprise options at $999.95/month, auditing anywhere from 20,000 pages with 1 staff member all the way up to 750,000 pages with up to 250 staff members and multiple website options. Raven Tools focus on automated reporting features that remove the hassle of generating tedious reports over and over again, integrating mobile friendly options and interactive marketing that support both you and your clients. Their easy-to-use platform can get you up and running quickly and efficiently, integrating with over 20 data sources to provide a granular view of SEO problem areas. Raven’s Site Auditor is defined as an “x-ray for anyone’s website for technical SEO issues.” Closely following Google’s most up-to-date requirements, this tool crawls any website and audits it against a long list of requirements, including mobile responsive design and page loading speed. Zeroing in on any detractors that are negatively impacting your local search rankings, the Site Auditor can provide an actionable list of specific items that must be remedied to improve your business’ visibility. 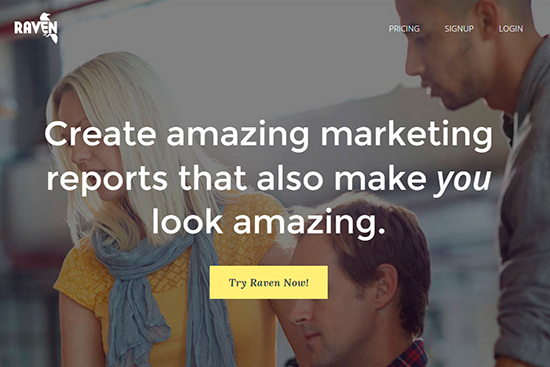 Offering a 30 day free trial, Raven Tools has two package options – Pro for $99/month and Agency for $249/month. With Agency providing most options and features on an unlimited basis, even with the Pro option, add ons and upgrades are priced affordably and competitively. 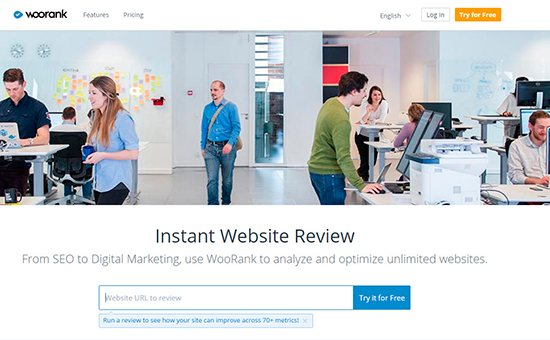 Marketed to track and fix your website’s weaknesses, WooRank offers analysis and optimization for unlimited websites, offering in-depth reporting via a simple “passed,” “to improve” and “error” rating system. Create branded PDFs, adopt effective strategies with their competitive analysis tool and prioritize your marketing to do list with the easy-to-use marketing checklist. This tool takes SEO auditing one step further by organizing your tasks to resolve SEO problem areas rather than simply identifying them. Offering a free, 14 day trial period, packages range from $49/month (Pro for Webmasters) to $149/month (Premium for Agencies) along with a no-risk, cancel anytime exit clause. Another special offer to make mention – If you sign up for an annual plan vs. the easy-to-exit monthly plan, WooRank will give you a robust 20% discount. 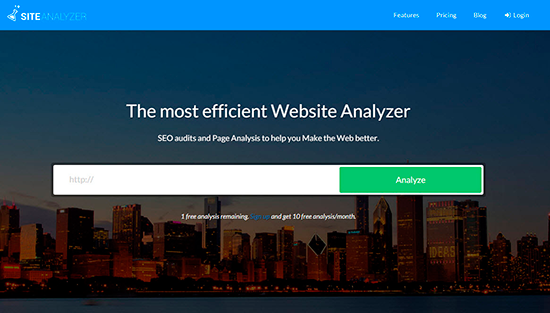 This tool focuses on auditing your SEO and improving the quality of your website, taking webpage audits another step forward by improving your user’s experience when they visit your site as well as your local search rankings when they search online. With over 50 criteria testing your website’s effectiveness, drill straight to SEO technical errors and immediately identify areas to correct. A free tool that offers instant reporting and recommendations for improving your local search rankings, pop any URL into Seoptimer and drill to critical errors in seconds. Download a free PDF version of your report or work within the Seoptimer tool itself to check off tasks as completed, updating the report in real time as you work to improve your rankings. Download the free Google Chrome extension for even easier website auditing and work through your web pages one by one, making crucial improvements along the way to move your business steadily up towards page one. A small desktop program from the UK that can be downloaded and installed to your local Mac or PC, the Screaming Frog SEO Spider Tool has free and paid options depending on your acceptable level of use limitations. For widespread access to unlimited crawls, support, saved history and reporting, integration and configurations, you can purchase individual licenses for full functionality. 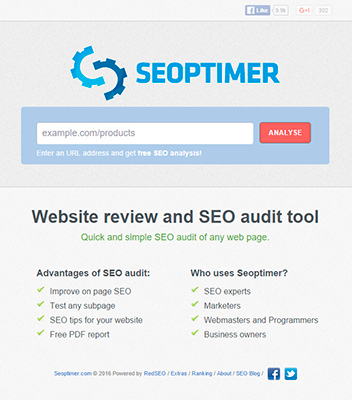 The SEO Spider Tool acts as a complete website auditor, reporting on over 30 specific website identifiers, including meta descriptions, anchor text, outlinks, response time, security and more, just to name a few. Developed by real search engine optimizers, the Screaming Frog SEO Spider moves straight to the point – hard data that needs your immediate attention if you want your search rankings to improve and your business to grow. If public opinion is any indication, with almost 10,000 Twitter followers and almost 3,000 Facebook likes, this tool has worked effectively to improve SEO for countless companies already. Adding any one of these tools to your SEO strategy will present new opportunities for your company to put its best foot forward online, fixing critical errors and staging your business to stand up well against the competition when it comes to local search rankings. Remember, these tools are not all-encompassing and no one tool is perfect, so your marketing and SEO strategy should incorporate a variety of methods and action plans that work collectively to take your business to new heights in the online marketplace. Focus on working in tandem with the resource tool you choose, marrying creativity with hard line analytics to produce top notch results.